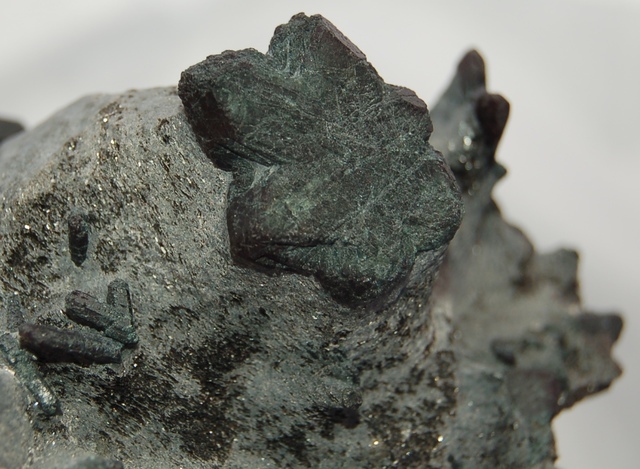 Alexandrite: Mineral information, data and localities. 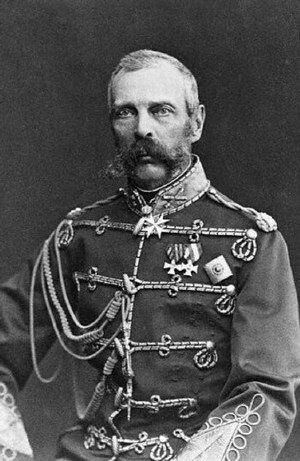 Named in 1842 by Nils Adolf Erik Nordenskiöld in honor of Alexander II (1818-81), Czar of Russia, 1855-81. Green chromian variety of chrysoberyl (intermediate member of Chrysoberyl-Mariinskite series) that exhibits a color change in natural and artificial light from green to amethystine (Alexandrite effect). Originally reported from Emerald mines (Izumrudnye Kopi; Malyshevskoye deposit), Malyshevo, Ekaterinburg (Yekaterinburg; Sverdlovsk), Sverdlovskaya Oblast', Urals Region, Russia. Effective substition of Fe3+ on the mirror-symmetry site has a strong effect to the Cr3+ lifetime, Cr being responsible for the color effects. Visit gemdat.org for gemological information about Alexandrite. Phlogopite 8 photos of Alexandrite associated with Phlogopite on mindat.org. Clinochlore 8 photos of Alexandrite associated with Clinochlore on mindat.org. Chrysoberyl 5 photos of Alexandrite associated with Chrysoberyl on mindat.org. Nordenskiöd (1842) Russ. Ges. Min. Schr. Wild, Klemm (1926) Zentralblatt für Mineralogie, Geologie und Paleontologie, Stuttgart: 31. Palache, C., Berman, H., Frondel, C. (1944) The System of Mineralogy of James Dwight Dana and Edward Salisbury Dana Yale University 1837-1892, Volume I: Elements, Sulfides, Sulfosalts, Oxides. John Wiley and Sons, Inc., New York. 7th edition, revised and enlarged: 718. Schmetzer K., Bank H., Gübelin E. (1980) The alexandrite effect in minerals: chrysoberyl, garnet, corundum, fluorite. Neues Jahrbuch für Mineralogie Abhandlungen: 138: 147-164. Schmetzer, K. (2010) Russian alexandrites. Schweizerbar Science Publishers, Stuttgart 2010. 141p. Voll, E., Pimenta, V.B. (1997) Mapeamento geológico da área garimpeira de alexandrita entre Setubinha e Malacacheta, MG. Trabalho Geológico de Graduação, IGC-UFMG, 52 p.
Basílio, M.S., Pedrosa-Soares, A.C., Jordt-Evangelista, H. (2013) Depósitos de alexandrita de Malacacheta, Minas Gerais. Revista Geonomos: 8(1):47-54. Schmetzer, K., Hyršl, J., Bernhardt, H.-J., Hainschwang, T. (2014) Purple to Reddish Purple Chrysoberyl from Brazil. Journal of Gemmology: 34(1): 32-40. 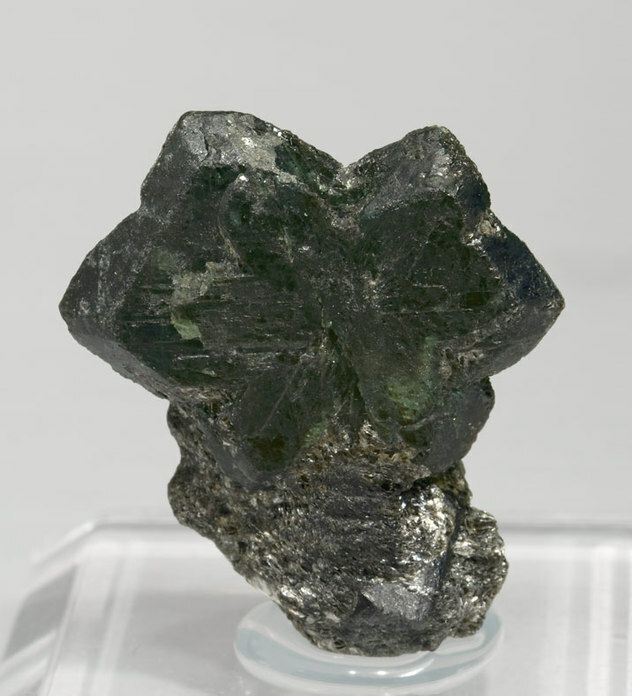 The following Alexandrite specimens are currently listed for sale on minfind.com. Petersen Jr, K. J., Schultz-Güttler, R. A., & da Silveira Bello, R. M. (2008). Alexandrita do pela ema, Minaçu/Go: inclusões fluidas e condições genéticas. Brazilian Journal of Geology, 32(3), 307-316. Basílio, M.S., Pedrosa-Soares, A.C., and Jordt-Evangelista, H. (2000) Depósitos de alexandrita de Malacacheta, Minas Gerais. Geonomos, 8(1), 47-54. Giuliani, G., Fallick, A., Rakotondrazafy, M., Ohnenstetter, D., Andriamamonjy, A., Ralantoarison, T., Rakotosamizanany, S., Razanatseheno, M., Offant, Y., Garnier, V., Dunaigre, C., Schwarz, D., Mercier, A., Ratrimo, V., and Ralison, B. (2007): Mineralium Deposita 42, 251-270. Kyaw Khaing Win (2004): A study on gemstones occurrences of Monghsu and its environs. Unpublishes M.Res. thesis, University of Yangon, Department of Geology. Martin-Izard, A., Paniagua, A., Moreiras, D. (1995) Metasomatism at a granitic pegmatite-dunite contact in Galicia: the Franqueira occurrence of chrysoberyl (alexandrite), emerald, and phenakite. Canadian Mineralogist, 33, 775-792.
http://gemexplorer.org/archives/ratnapura-sri-lanka; Shigley, J. E., Dirlam, D. M., Laurs, B. M., Boehm, E. W., Bosshart, G., & Larson, W. F. (2000). Gem localities of the 1990s. Gems & Gemology, 36(4), 292-335. Macfarlane, M., Tallontire, A., & Martin, A. (2003). Towards an Ethical Jewellery Business. Natural Resources Institute, University of Greenwich, London. Cairncross, B. (2004) Field Guide To Rocks & Minerals Of Southern Africa: 74. J. E. Shigley et al. (2010), Gem Localities of the 2000s, Gems and Gemology, Fall 2010, pp. 188–216; Cairncross, B. (2004) Field Guide To Rocks & Minerals Of Southern Africa: 74.